Will you just check out this weather; tis positively Spring-ish I tell you!!!! Oh Sunday, you beautiful beast. 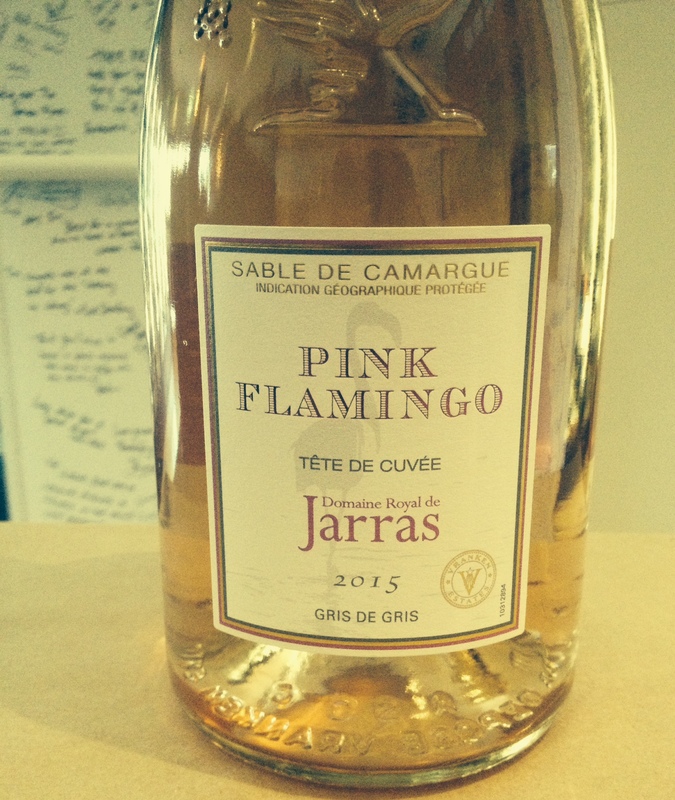 And if you are going to raise a glass to this delicious day, why don’t you put some of this in it – the Domaine Royal de Jarras ‘Pink Flamingo’ Rosé 2015, Sable de Camargue from the mouth of the Rhône. From a blend of Cinsault, Carignan and Grenache, this beaut has lovely supple tart red fruit in the mean of frozen red berries right out of the freezer. The name might suggest ‘giggle juice’ but this rosé is certainly not sweet; the opposite actually. Its very dry. It’s fun. It’s serious. It’s delish. It’s just #TickityBooAce.